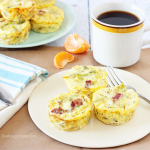 Breakfast lovers rejoice! 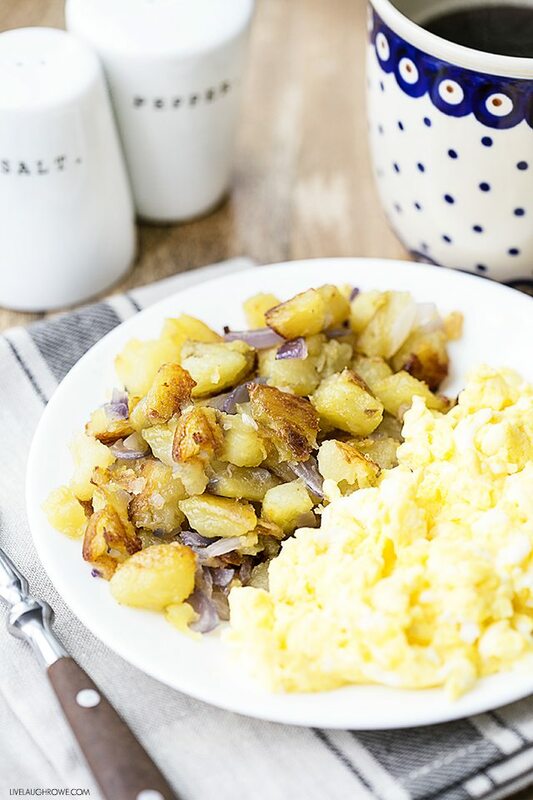 This breakfast home fries recipe is packed with flavor and a side of crunch. 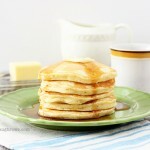 It is no secret that I love breakfast food! Just typing that has me craving the Farmer’s Choice Breakfast at Bob Evan’s. Eggs over easy with bacon, home fries and pancakes (with extra butter). Goodness gracious, doesn’t that sound delicious? 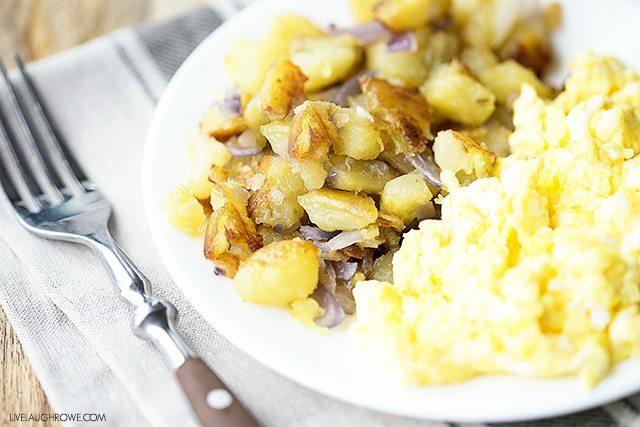 Unfortunately, we can’t all indulge ourselves with a big breakfast like that every week — so we compromise and make some of those delicious breakfast foods at home, right? Absolutely!! 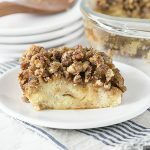 My husband is a little obsessed with America’s Test Kitchen, so this recipe is a revised version of something he saw them whip up. He recently made a batch and I thought it was about time I shared this delicious goodness with all of you! So, I guess you could say the hubs and I tag teamed on this one. 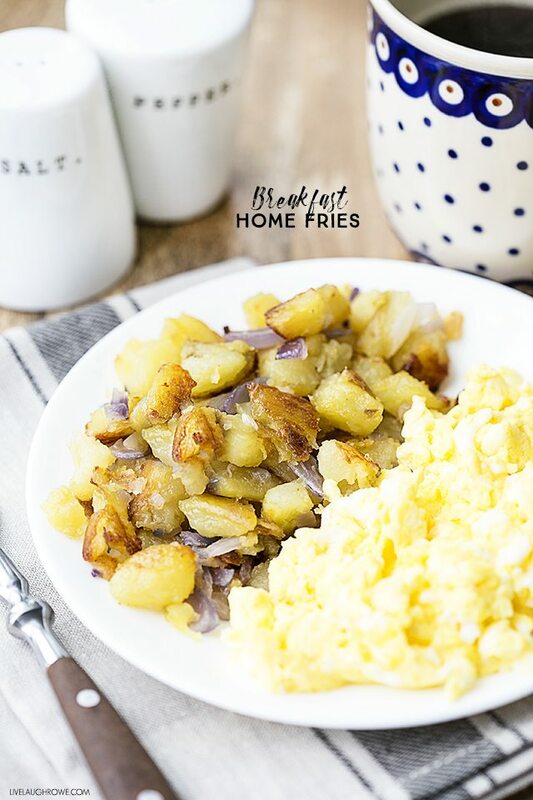 He made the breakfast home fries recipe and I photographed, edited the pics. Today, I’m sharing it with y’all. Who’s ready for a little breakfast goodness? Add ½ teaspoon baking soda to 10 cups of water. Add potatoes and bring to a boil. Boil for one minute and drain. Place potatoes back in pot and gently stir under low heat for 2 minutes to dry. Turn off heat. Add 3 tablespoons of salted butter, 1 ½ teaspoon of salt. Stir until butter has melted. Add 2 tablespoons of cooking oil to pan and spread over pan. 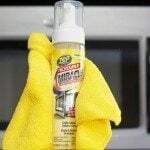 Place in oven for 2 minutes to heat the oil. Add potatoes to pan and cook for 12-15 minutes. Flip potatoes and add diced onion to center of pan. Cook for another 12-15 minutes. Stir onions and potatoes together and cook for another 5-10 minutes. Breakfast foods are great morning, noon and night! Whether you decide to eat this dish on it’s own or as a side dish — you won’t be disappointed. Let me know what you think! « Strawberry Dessert Recipes | Party Time! Thank you Kelly. These potatoes sound nice. Appreciate you stopping by Liz! Hope you’ll give them a try. I think you’d enjoy them. 🙂 Have a great day! xo.